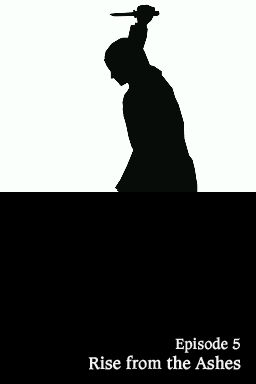 Not everyone is innocent until proven guilty! 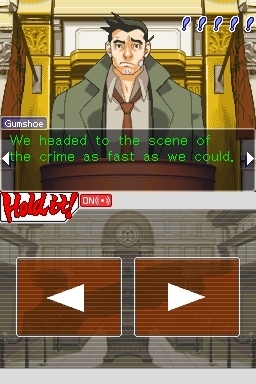 In this quirky courtroom series originally released in Japan on the Game Boy Advance, players star as a defence attorney who must prove his seemingly guilty client's innocence no matter how dire the circumstances may seem. 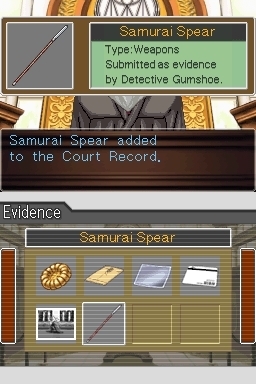 Players must collect evidence, weed through inconsistent testimonies, and overcome corrupt agendas to ensure that justice prevails. Originally released in Japan for the Game Boy Advance, the English port includes ones all-new case made specifically for the DS. 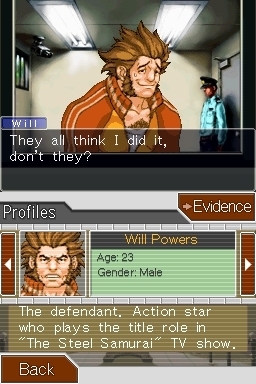 Later ported for release on WiiWare in 2010. 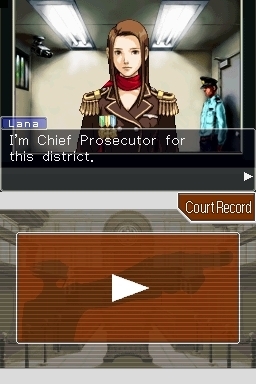 Wii version does not include the DS-specific case. 4.5 stars: "A superb game that excels in just about every area, held back only by one or two notable flaws or a collection of smaller ones that prevent the game from earning full marks." 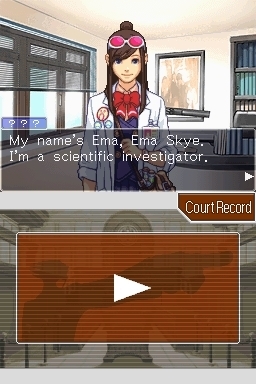 The gavel comes down on the quirky courtroom comedy/drama for the Nintendo DS. 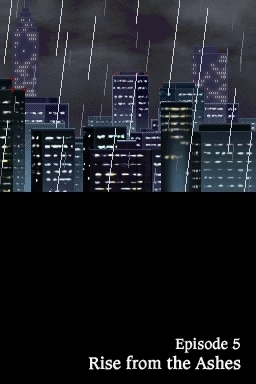 Click here for the verdict. First three games in Capcom's courtroom series bundled together on Windows, PS4, Xbox One and Switch. Ports of first three adventures in Ace Attorney series to be bundled together early next year. 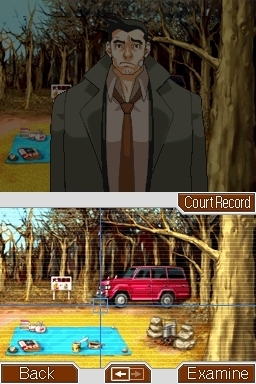 First three courtroom dramas remade with 3D graphics and coming to 3DS eShop in Winter 2014. 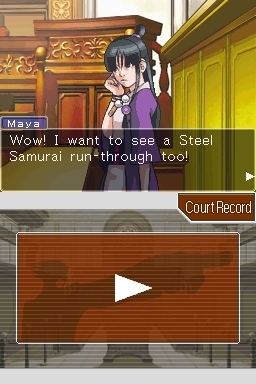 Stuck in Phoenix Wright: Ace Attorney, or looking for the best way to proceed? 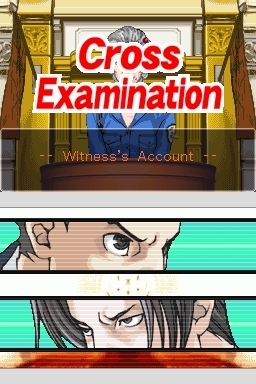 Click below to view our walkthrough for Phoenix Wright: Ace Attorney and wonder no more! Well written, full of twists and memorable characters, and above all: hilarious! 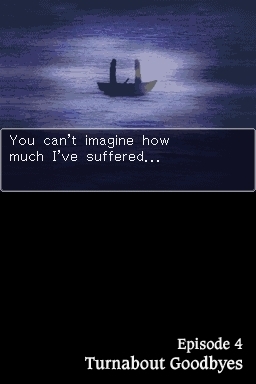 Phoenix Wright: Ace Attorney is an adventure game, released in 2010 by Capcom. 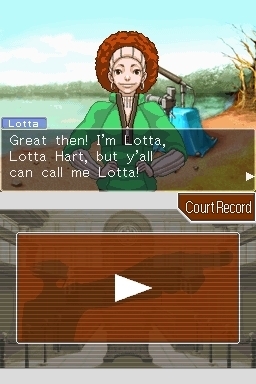 Phoenix Wright: Ace Attorney has a Comic cartoon style and uses a Touch control scheme. Adventure Gamers have published a review of Phoenix Wright: Ace Attorney and rate it as Excellent, meanwhile the community rating for Phoenix Wright: Ace Attorney is Very good.